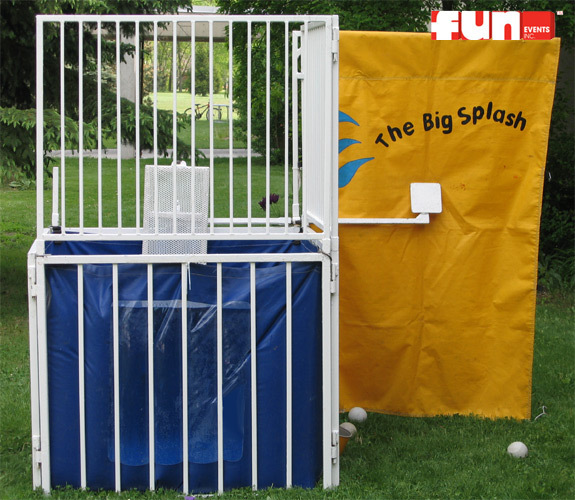 The Dunk Tank rental is a Milwaukee Wisconsin and Illinois rentals favorite. Our portable and see through Dunk Tank is compact and easy to transport for pick-up or delivery. 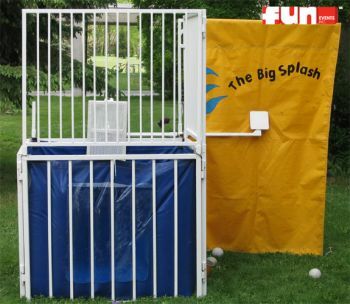 The Dunk Tank is sure to be a hit at your next company picnic, outdoor school carnival, church festival or other special event. Participants throw softballs at the dunk tank's target arm which triggers the person sitting on the seat to be dropped into the 150 gallon water tub.